It takes 21 days to form a habit. I'm in my 29th day of my 3-week Sugar Detox program. I felt so good, for the 1st 21 days, I have decided to extend it and make a lifestyle change. I completed my 1st week on the Sugar Detox program and feeling good! My blood sugar has improved and I'm not craving sugar or carbs. What a relief! There are 3-program levels on the sugar detox program. I began with the least restrictive level - level 1. The program offers many delicious recipes to try. Below is a sampling of foods and recipes I tried for the week. Nuts - Walnuts, Pecans, & Almonds. I'm looking forward to week-2. Don't miss my next week's update. Beginning today, I'm starting a sugar detox program, to decrease my cravings for sugar. This program will also help me reverse a couple of health concerns, naturally. The book I'm reading to help me is, The 21 Day Sugar Detox - Bust Sugar & Carb Cravings Naturally. The book is written by the New York Times best-selling author, Diane Sanfilippo, BS, NC. There are 3-program levels and recipes - gluten free, grain free, dairy free, and paleo friendly. Health Is Wealth - Become Very Wealthy This Year! Not only is this a new year, but the kickoff of the Health Plus Fitness Systems (HPFS) blog. The HPFS blog will provide ideas, tips, and techniques regarding health, wellness, and fitness. 2016 will be the best year yet to start a-new, get back on track, improve and maintain your goals this year. 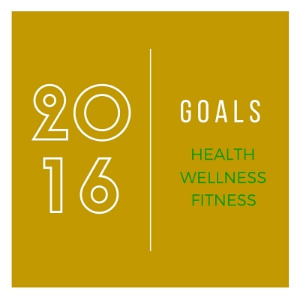 I'm looking forward to helping you make 2016 your healthy's year, yet! I'm also interested in knowing what topics in health, wellness, and fitness, you would like to know more about this year. Leave me a comment. Thanks.